Thank you for wearing it pink! 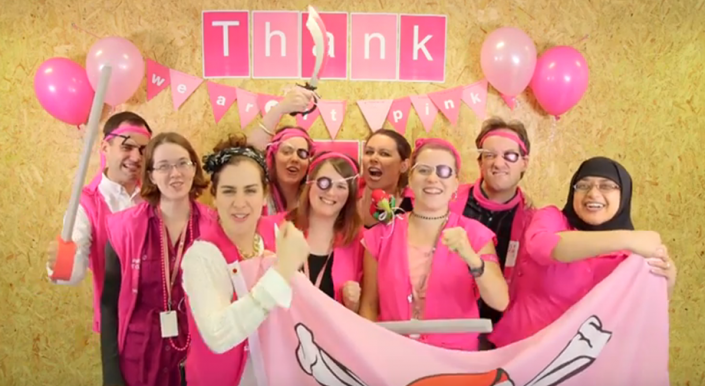 From everyone at Breast Cancer Now, THANK YOU for wearing it pink with us. You are truly amazing! Through your fabulous fundraising for wear it pink you’ve helped give more hope to the thousands of mums, daughters, sisters, families and friends whose lives are affected by breast cancer each year. PS. You can pay in the money you raised online here, or take a look at the other ways to pay in.